As many as 300,000 Cubans currently live outside Cuba and the United States, especially in Spain, Venezuela, and Mexico, as well as in Puerto Rico. During the past two decades, Cuban migrants expanded their destinations to several Latin American and Caribbean countries, such as the Dominican Republic, Chile, and Jamaica, as well as European countries, such as Germany, Italy, and France. Canada has also become an important place of settlement or sojourning. Among other reasons, the difficulty of traveling to the United States has redirected part of the migrant flow toward other countries. Although many of these new destinations have not been studied in detail, some follow the trade and tourist routes developed by Cuba during the post-Soviet period. In recognition of the growing complexity and multiple locations of contemporary Cuban migrants, the Cuban Research Institute (CRI) will hold a symposium on "The Cuban Diaspora in the World." The main goal of the event is to compare the current experiences of various Cuban communities in Western Europe, North America, Latin America, and the Caribbean. Speakers will survey recent Cuban migration to the United States, Canada, Puerto Rico, the Dominican Republic, Venezuela, Mexico, Germany, and France. 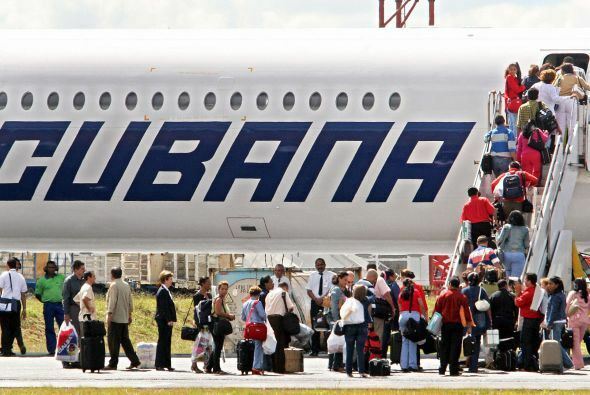 A secondary goal is to examine the potential contribution of the diaspora to national development in Cuba, particularly to the strengthening of the nonstate sector of the economy. The event is made possible by grants from the Ford and Open Society Foundations. The program for the symposium can be seen here.